The famous aftermarket specialists from the DMC tuning company have managed to pull the wraps of a Ferrari 458 Italia, the supercar model coming with an interesting upgrade package. The Ferrari 458 Italia has received the special upgrade package from DMC, the package being simply named the MMC (Monte Carlo Carbon) Edition, as it adds an aggressive body kit and a lot of carbon fiber components. 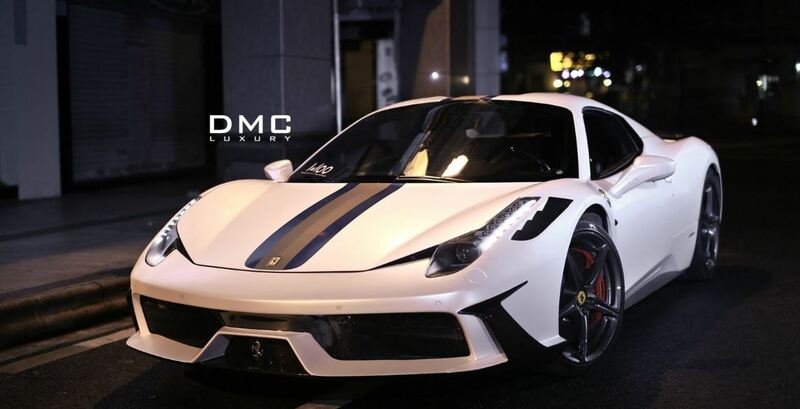 Thus, the DMC has put on the Ferrari 458 Italia some body stripes, but unfortunately the tuning company hasn’t put any performance upgrades to the supercar. 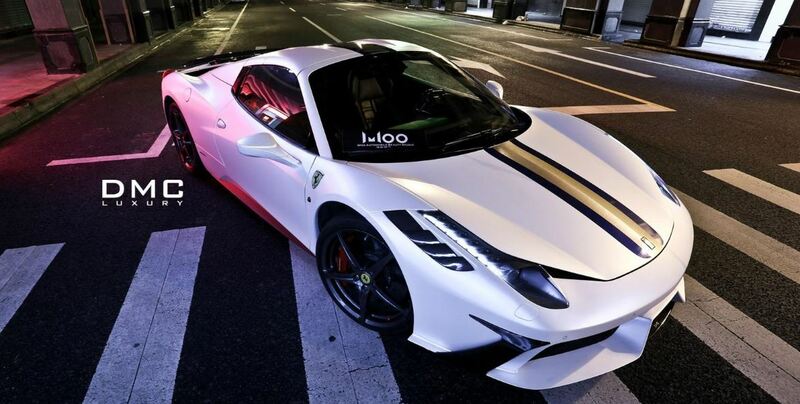 That perhaps the Ferrari 458 Italia has already enough power under the hood, due to its 4.5-liter V8 unit, which develops 562 horsepower (419 kW) set at 9,000 rpm and 540 Nm (398 lb-ft) of torque. The engine of the Ferrari 459 Italia is hooked to a 7-speed dual-clutch transmission, which makes the supercar accelerate from 0 to 100 km.h in just 3.3 seconds, having a top speed of 325 km/h.